A bright yellow orchid displays itself in full bloom on the Big Island at the Hawaii Tropical Botanical Gardens. Orchids are actually classified as perennial herbs and do not have any permanent wooded structure. This means that orchids tend to root themselves to tree limbs, particularly in crooks or bends. The orchid family of flowers is found all over the world and has a wide variety of presentations. Hawaii has an ideal growing environment for many orchid species and celebrates a huge collection of these delicate blossoms. 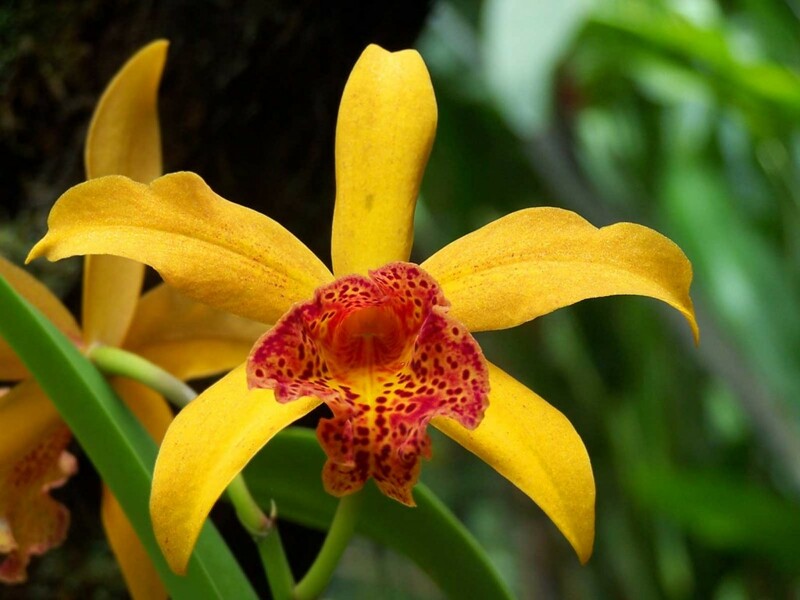 For a good listing of descriptions, classifications, and some images of a few orchids found in Hawaii, check out HTBG’s online orchid database.